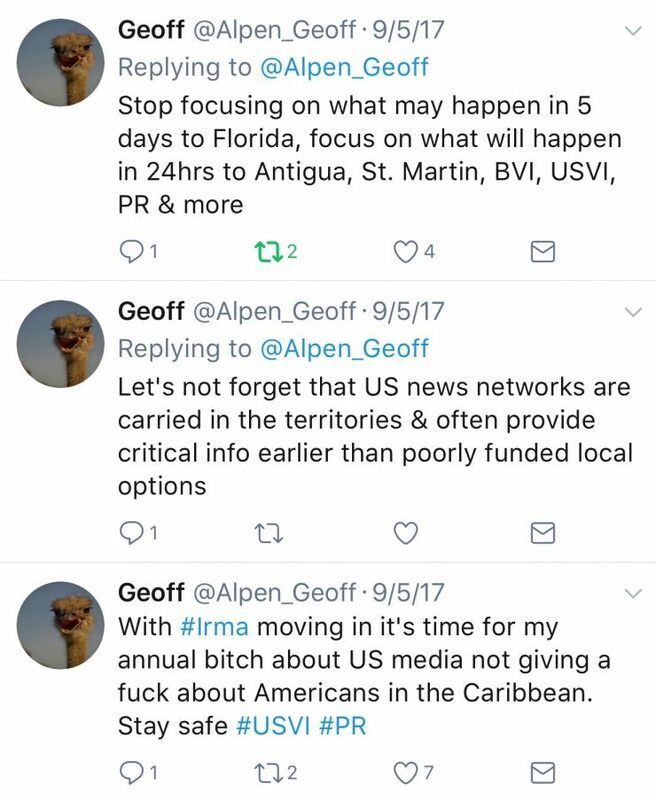 A trend that I and I think many others noticed about the reporting of Hurricane Irma, was a borderline myopic focus on the Continental United States. The news and weather reporting channels didn’t really spend much time reporting on the dire impacts of Irma before or after the storm hit, when compared with the virtual nonstop coverage of the Southeastern United States. Many aviation geeks (AvGeeks) know St. Maarten for the famed Maho Beach, where you can see aircraft as large as the KLM 747 land at St Maarten’s Princess Julianna International Airport, about as up close and personal as it gets. Unfortunately, Maho Beach is a shadow of its former self, many buildings were destroyed or heavily damaged. It will take a lot for the island to get back to its former glory. I’m sure it will happen. NPR has a pretty striking satellite view of before and after the hurricane. If you want to donate to St Maarten’s recovery, here is a resource I’ve found. St Thomas as the other US Virgin Islands were also badly damaged from Hurricane Irma. The US sent the Coast Guard Cutter Joseph Tezanos to St. Thomas with supplies, the US Navy has 3 vessels in the area as well, as the main hospital is out of commission due to the storm. Marriott even evacuated guests via a chartered ship before Hurricane Jose rolled through. If you would like to support the efforts for the US Virgin Island’s recover, you can use the official site. 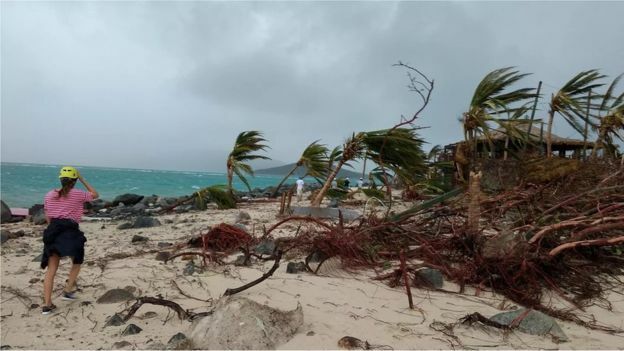 Also heavily hammered by Hurricane Irma were the British Virgin Islands, to include Sir Richard Branson’s Necker Island. Branson braved the storm in the main cellar of the Necker Island resort, with family and team members, however he came out of that cellar to a fairly rough sight. His son shared images which were picked up by the mainstream media. Branson has been advocating for recovery efforts, and coordinating with the United Kingdom to send aid. You can support the British Virgin Island recovery via this link. This post is not to belittle the damage, destruction, and death that happened in the Southeastern United States. Rather my intent is to remind us all, that others were hit just as hard–if not harder, by Hurricane Irma. A fact that has not been as prominently covered by traditional media outlets.